A few nights ago I woke up in the middle night not knowing where I was. It was pitch dark, I couldn’t breathe. In shock, I jumped out of my bed and found a door before realising what had happened. Gasping for air, all I could think was “Bitcoin liquidity crisis”. 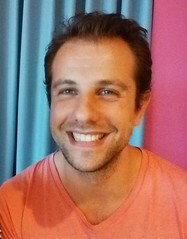 Freshly jet lagged into a summer Australian night that I was still acclimatising to, I probably was impacted by the humidity, dehydrated and still confused from all the travel. But the fact I was thinking of the Bitcoin liquidity crisis, I’m going to call this a premonition of what’s to come. 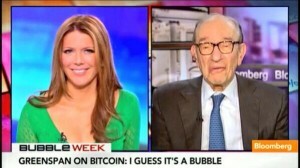 According to Former US Federal Reserve Chairman Alan Greenspan, Bitcoin is a bubble. I agree. 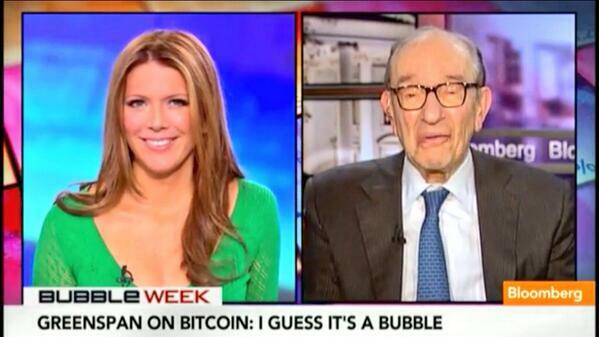 What makes it a bubble, is unsustainable prices and to which Greenspan says no ‘intrinsic’ value. This is where I disagree, but does point to a real challenge with any crypto-currency. Fact: There are 116 Bitcoin startups on AngelList https://t.co/XymdehGT5P. I think we’ve got the wallets and exchanges covered, folks. While the innovation right now is on establishing exchanges which create a base level of liquidity, Bitcoin suffers from one critical weakness in its design. Fixable I might add, but critical. On a base level, the creation of exchanges will solve the liquidity problem: more banks, more currencies, faster conversions, lower fees — will allow more people to convert their government-backed fiat-currency into Bitcoins. This will help in developing the maturity of the currency. But it doesn’t solve the confidence issue that will impact ultimately its liquidity. This is because Bitcoin or any other crypto-currency has no secondary use if the value falls. It’s going to collapse when the social compact loses confidence. Greenspan is wrong in saying Bitcoin’s doesn’t have any intrinsic value because the algorithms developing the hashes’s are the result of mathematically complex equations ‘mined’ by a global network of brute force computing. But he is partly right, in that those outputs in the algorithm’s don’t have any secondary value. Unlike gold which has been used as a form of currency as well as a metal for jewelry, Bitcoin’s cryptographic puzzles currently don’t have a secondary use aside from validating the blockchain. Arguably you can say the same about any other fiat currency: if a government and society didn’t think the USD has value, the pieces of paper would be useless. But unlike the USD, Bitcoin does not have a government guaranteeing the value of the currency. Long term this won’t be as big a deal, because if you look at the USD, no one questions the liquidity of the US government. Though with a lack of confidence, the same issues would happen if everyone in the world cashed in their Greenback (and yes, the US government wouldn’t handle that crisis and the world would lose confidence). This issue however will hold back the initial foundation of the system as it will be the basis behind a liquidity crisis due to confidence. Which is partly why we need a Bitcoin bubble: it will lay down an infrastructure that will be a sunk cost that will result in future use “because it’s there”. But if we could invent a way to give Bitcoin secondary value by finding a way to leverage the block chain to give value elsewhere in the world (possibly the mathematical puzzles become a source of validation for the world?) then this would inject much needed confidence in the system to make this a true global currency.